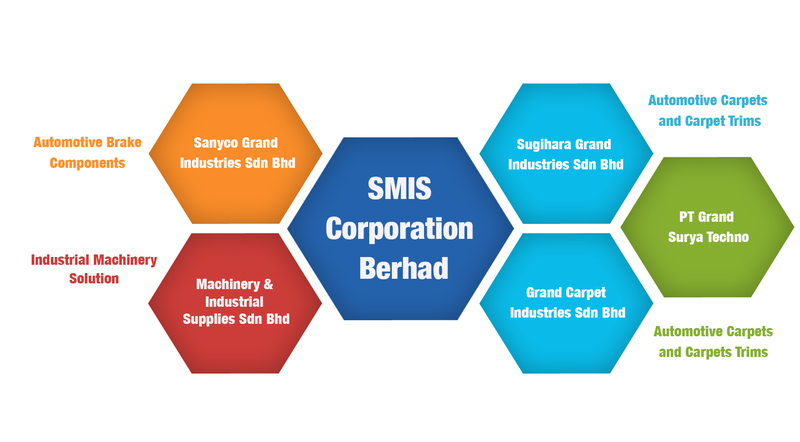 The SMIS Group of Companies operates through five key subsidiaries - Machinery & Industrial Supplies Sdn Bhd (MIS), Sanyco Grand Industries Sdn Bhd, Grand Carpet Industries Sdn Bhd, Sugihara Grand Industries Sdn Bhd and PT Grand Surya Techno - to provide spare parts and support services for industrial machinery, as well as automotive brake & clutch components and carpeting products to major car assemblers in Malaysia. 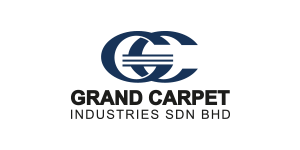 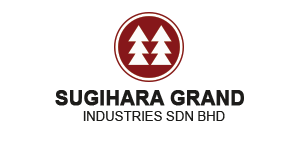 The Group's machinery & industrial solution and services business possesses more than 40 years of track record and experience, and takes pride in its ability to deliver customised solutions that consistently exceed customers' expectations. 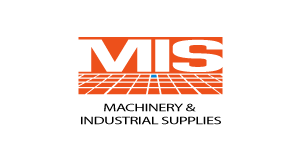 SMIS's automotive component are accredited ISO 9001:2008, ISO 14001 and TS 16949 certification, providing its customers with assurance of the plants' reliability and compliance with international standards of quality.